Lake Mille Lacs, Minnesota’s second-largest lake, spans 132,000 surface acres or slightly more than 200 square miles. Maximum depths barely exceed 40 feet, while much of the main lake falls into the 20 to 38 foot depth ranges. While the north half of Lake Mille Lacs contains most of the lake’s mud flats, the southern portion of the lake offers more gravel and rock bars. All sides of the lake offer some shallow reef-top fishing. Deep-water angling takes place on the southern deep gravel and rocks as well as on dozens of mud flats in the north half of the lake. Shoreline break fishing on varied bottom types occurs all around the lake. The weed line is at 9 to 10 feet. 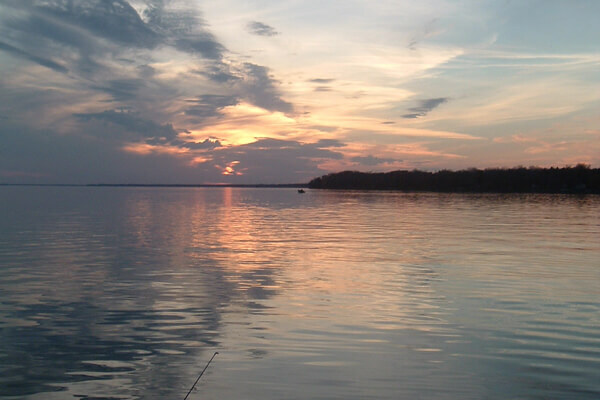 Lake Mille Lacs offers the angler acres of multi-species action in a genuine “big lake” setting. Walleye, Northern Pike, Muskie, Jumbo Perch, Small & Large Mouth Bass and Tullibee share the limelight at Minnesota’s most popular fishing lake – on open water and on ice. 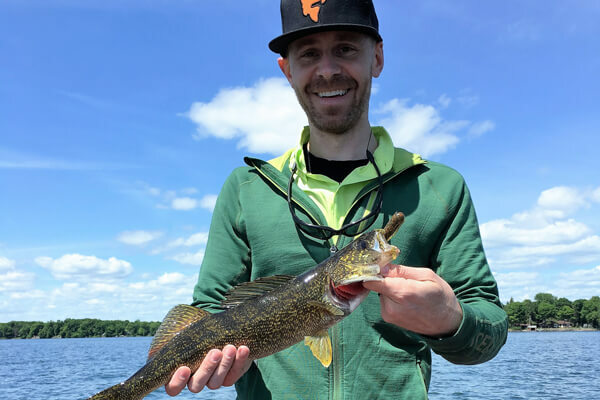 Mille Lacs’ fame as one of the world’s most prolific “natural” walleye lakes rests on its ability to produce billions of walleye eggs and fry. In the absence of a thermocline and “layering,” walleyes and other fish species comfortable use the entire well oxygenated lake. A main reason for the health of the Mille Lacs fishery is an abundant supply of forage. 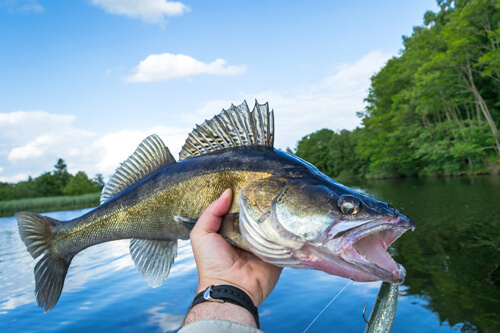 Tiny young-of-the-year perch are a favorite food for walleye, which also prey on spottail shiners, darters, troutperch, and the young of tullibee. 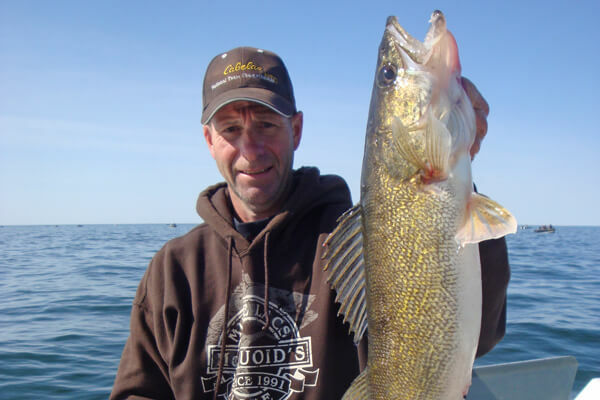 Larger walleyes may gorge on adult perch or tullibee. Mille Lacs muskies are known for their exceptional growth rates and chunkiness. Lake Mille Lacs freezes “all the way,” with ice reaching thicknesses of 2 to 4 feet. In most years anglers can find safe walkout ice by early December. Large fish houses (rentals and private) and vehicles driving on plowed resort lake roads nearly always are in full swing by the week of Christmas. Walleyes, perch and tullibee are the most sought-after species in winter, while some anglers pursue trophy northern pike in the shallows and a few ice anglers pursue crappies in the bay areas. Learn more about ice fishing on Lake Mille Lacs.